Glazier’s herring is a quite new version of pickled herring, but very tasty and more plesant to the eye compared to sursild. Pickled herring is eaten year round in Norway, but is highly popular during the Christmas season. Other popular types of pickled herring is: Sursild the most traditional of them all, Herring in tomato sauce (tomatsild), Herring in sour cream (Rømmesild), Herring in mustard (sennepssild), Herring in spices (kryddersild). It’s now time to make your own Sursild. Good luck! Otional: smal pices of horseradish, Red wine vinegar insted of white vinegar. Soak the herring in water for at least 1 hour depending on how salty the herring is. Drain the herring, rinse, and pat dry. Cut the fillets crosswise into 1-inch strips. Combine the water, sugar and vinegar, and stir until the sugar has dissolved. Remove from the heat and let it cool completely. 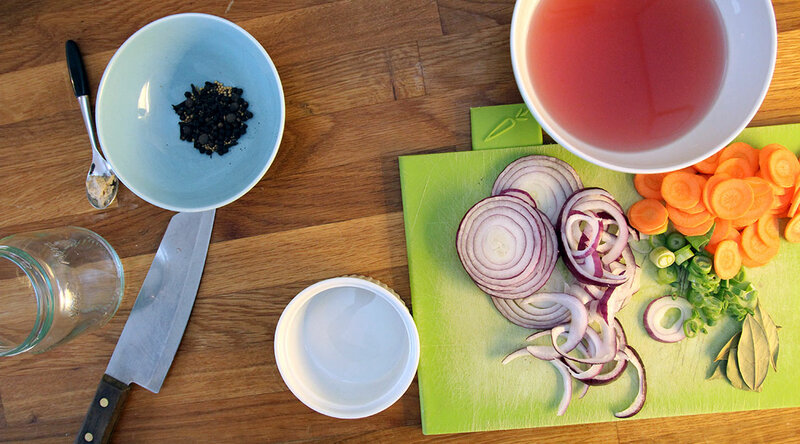 Peel the carrots, red onion and sping onion and slice them thinly. 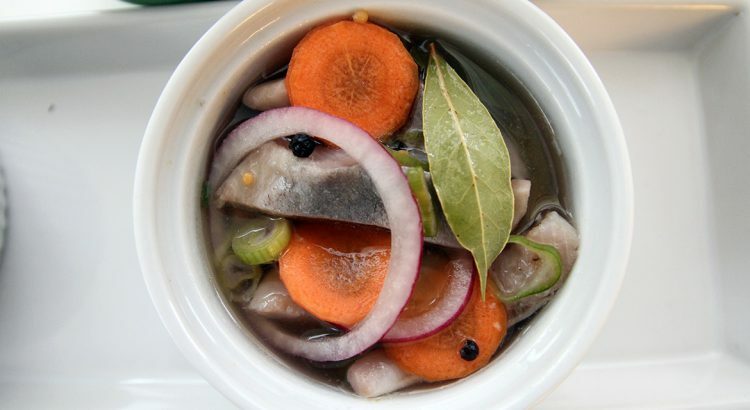 Arrange the herring pieces, red onion, carrots and spices in layers in a glass jar and pour the cooled pickling mixture into the jar so all the content i covered with liquid. Put the lid on and let it rest in the fridge for two to three days before serving. To be eaten on an open sandwich or as a lunch combined with potato salad or with hot potatoes and sour cream.